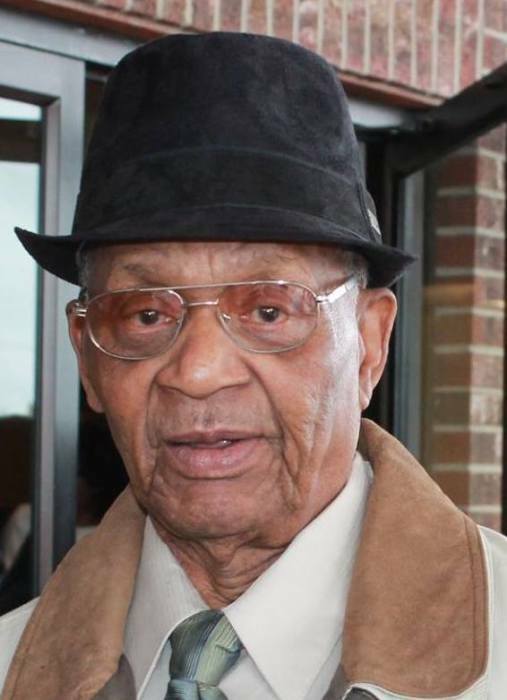 Mr. Hardin Brown age 85, of Red Springs was born on May 20, 1933 in Robeson County to the late Ms. Emma Brown and passed peacefully on April 2, 2019 at home surrounded by his loving family. Along with his mother he was preceded in death by his wife Annie Pearl Ross McLean Brown, two sons, Colen Ross, Retired Master Sergeant John McLean, one daughter Mary Price, two brothers, James Walter Ferguson and Walter Brown, two sisters, Ruth Brown McNeill and Beatrice Ferguson, a grandson, Kareem Gibson two granddaughters, Yvonne Campbell and Erica Perez a great grandson, Khristan McLean and one daughter-in-law, Bessie L. Ross. He leaves to cherish his memories his sons: Retired Master Sergeant Manse Ross, James Melvin, Michael Ross and wife Cynthia, Gary McLean and wife Tasha, Larry Brown and wife Lagirtha, Freddie Brown and wife Pam and Ronnie Wade all of Red Springs, North Carolina, Sergeant Hardin Brown Jr., and wife Kim of Fayetteville, North Carolina, Terry T. Brown of Maxton, North Carolina, his daughters Frances Henderson and husband Edward of Red Springs, North Carolina, Bert Hutchinson and husband Virgil of Maxton, North Carolina, and Annie Louise Brown of Red Springs North Carolina. Grandchildren he reared as his own in the home, Kendrick McLean and wife Kelli of Lumberton, North Carolina, Major Damien R. McLean and wife Brandi of Red Springs, North Carolina, Edward Henderson II, Anitra Brown, Mackenzie Brown, Jarred Brown all of Red Springs, North Carolina, Jantzen McLean and wife Samantha of Southern Pines, North Carolina, and Freddie Brown, Jr., of Red Springs, North Carolina; one brother, Charles Ferguson and wife Alease, two sisters in-law Mattie Louise Ferguson and Margaret Ree Ross both of Red Springs North Carolina, two daughters-in-law, Bobbie Ross of Red Springs, North Carolina and Francine McLean, of Virginia; fifty-eight grandchildren, 100 great grandchildren and ten great great grandchildren and a host of other relatives and friends.